Spectacular New Construction From Domain Custom Homes. This Luxurious Modern Farmhouse Boasts 5 Spacious Bedrooms And 4 Baths. Cook'S Kitchen Includes Stainless Appliances, Custom Cabinets, Marble Countertops, Large Island, Breakfast Areas And Walk-In Pantry. Generous Master Suite Includes Double Vanity, Separate Tub/Shower, His/Hers Closets. Hardwoods, Fireplace, Finished Basement, 2-Car Garage. Enjoy The Outdoors On The Open Deck Or Screened Back Porch. 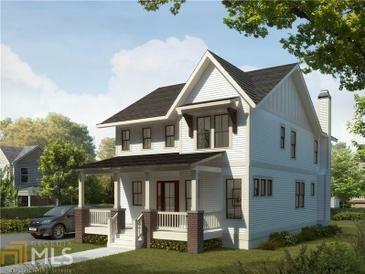 336 Murray Hl, Atlanta GA is a single family home of 0 sqft and is currently priced at $850,000 . This single family home has 6 bedrooms and was built in 2018. A comparable home for sale at 215 Howard St Se in Atlanta is listed at $549,900. This home on 336 Murray Hl has not had a price change. In addition to single family homes, EasyStreet also makes it easy to find Condos and Foreclosures in Atlanta, GA. Kirkwood East Lake, Peachtree Hills and Candler Park are nearby neighborhoods. MLS 8476842 has been posted on this site since 10/30/2018 (174 days ago).